Ghoulish Halloween Card, made for my Daughter-in-law. This is my first attempt at making a card...I made it for Halloween, but wasn't real thrilled how it turned out, so I didn't give it to my DIL. I felt like it needed something else...but I'm so critical of myself and over analyze everything, so I think I would have struggled with this no matter what. 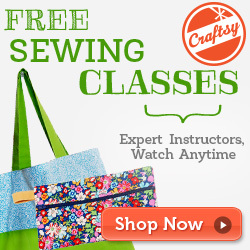 I've been learning a lot though...by visiting various blogs on cardmaking and scrapbooking. My goal is to one day get good enough to make and sell stuff on etsy and maybe do some instructional videos and tutorials of my own! 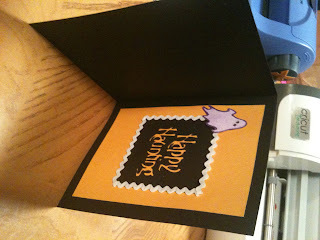 I used my Cricut Imagine to make the die cuts and used the Happy Hauntings cartridge. 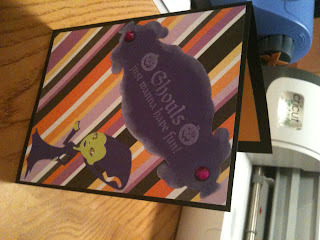 I used a halloween stamp on the front and a couple of purple gems as embellishment. On the inside I trimmed the greeting with mini-ric-rac.